A great article here about the dangers of mould in the home & how to remedy it by 9Honey featuring some very insightful words by none other than friend of Ausclimate & industry-expert, Nicole Bijlsma! Have a read & for all of your Dehumidifier & Air Purifier needs, take a look at our website at http://www.ausclimate.com.au or give us a call. Always here to help! Most people realise they’re battling mould when a musty smell takes over a room, or when a pair of leather heels comes out of the back of the wardrobe with telltale fuzzy white spots. Me? I got seriously ill long before I realised exactly what it was we were battling. It started with night-time wheezing which quickly turned into recurring chest infections which rendered me useless week after week. Unexplained headaches, constant lethargy and sleep disturbances followed, as did irregularities with my menstrual cycle, an inability to concentrate and daily bouts of crying. As mould remediators tore my bedroom apart trying to find the source of the musty smell I’d noticed in our bedroom (they found it all along the undersides of my drawers, wardrobe and bed), I became hospitalised with pneumonia. The cause? Mould, mould, mould. Most people don’t react so strongly to mould, in fact some mould isn’t a problem at all. 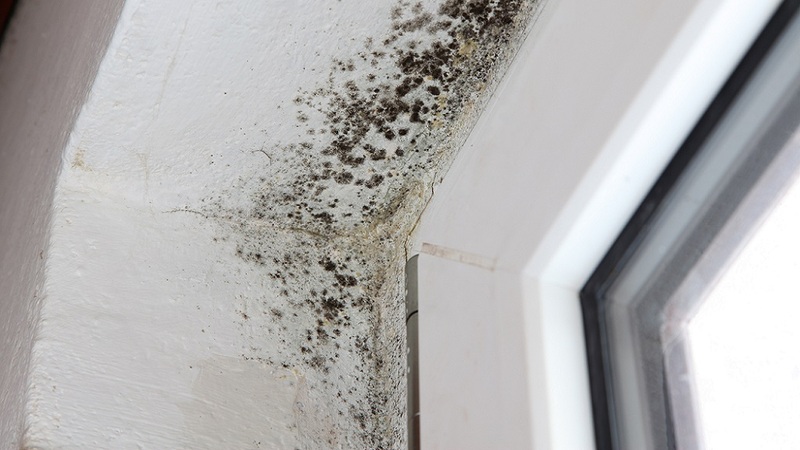 A naturally occurring species of fungi that is known to live in almost any environment, on their own in small amounts, mould is usually perfectly safe. But introduce its spores (microscopic particles the mould uses to reproduce) to a source of humidity such as a few wet towels left on the back of a door, or a damp wall and the mould will use everything in its path as fuel (particularly natural fibres and MDF-base furniture) until it grows into what could be a major health hazard. It might sound far-fetched, but mould issues are far more common than we realise, says building biologist, Nicole Bijlsma of Building Biology. “In Australia, one in three homes are affected by water damage and damp which lays down the perfect conditions for mould to grow,” she says, explaining that parts of Sydney and the Central Coast are some of the most badly affected areas since the region experiences high humidity, but cool enough temperatures that air conditioners aren’t run 365 days a year. Damp might be a problem nation-wide, but mould requires humidity levels that sit over 70 per cent before it starts to act out so to that end, homes that are more likely to be affected include those that are located waterside or in flood zones, or those who have roofing, plumbing or ventilation issues. It’s not just location that’s the problem, but poor lifestyle habits, says Mould Rescue mould remediator, Penny Tralau. “Often we see problems in homes where the residents insist on having long, hot showers without using adequate ventilation, and also those who habitually dry clothes on racks indoors,” she says. Changing said habits is essential, and Tralau recommends ensuring rooms are properly ventilated every day and that clothes and shoes are bone-dry before storing them in drawers and wardrobes. “The last thing you want is damp running shoes sitting at the bottom of your dark, warm cupboard,” she warns. Dry wet towels (and any other clothing) outside rather than leaving them to hang on the back of the door or on a rail (unless the rail is heated), ensure steam is exhausted from the bathroom while showering or bathing, and vacuum rather than sweep. “Dust is like fast food to mould and sweeping just kicks up dust and makes it airborne,” Tralau says. To help prevent mould, you should vacuum instead of sweeping. Investing in a dehumidifier is essential, adds Bijlsma, who says that mould spores begin to germinate once humidity in the home passes the 70% mark. “To ensure the humidity never reaches the ‘danger zone’, set your dehumidifier on a thermostat so that it turns on automatically as soon as humidity in your home hits 65%,” she says. If you’ve noticed a musty smell or mouldy spots on various items, or if you’ve begun to experience new and unexplained allergies or illness (people with immune system disorders are often affected physically long before they see or smell any mould), it’s time to investigate. To begin with, Tralau recommends pulling furniture away from their resting spots and inspecting the backs and undersides thoroughly with a torch (it’s recommended those with respiratory sensitivities delegate the cleaning to someone else). If you find mould, isolate the items that have been affected so that disturbed spores can’t travel and settle on other items nearby, and clean them with soapy water before placing them in direct sunlight, recommends Tralau who explains vinegar solutions and bleach can work on non-porous but aren’t much chop on porous surfaces. If mould has infiltrated items and begun to compromise the makeup of the item, it will have to be thrown out, but items with surface mould only can often be saved, says Bijlsma. If the mould problem is larger than you initially thought, continues after your initial clean-up, or you suspect it is making you ill, you may be better off calling in an accredited mould remediator. Mould needs to be killed and removed. “The key to understanding mould in the home is to understand the causation and it’s vital to have your home assessed by somebody that is trained to a standard,” says Tralau. Are you being physically affected by mould? Categories: info articles, tips | Tags: dehumidifiers australia, mould, mould dehumidifier | Permalink.